Since its foundation in 2012, our subsidiary Cosmoveda Ceylon Pvt Ltd has become one of the leading exporters of dried organic fruits. 200 tons of pineapple are processed monthly and shipped overseas. The organic cultivation of fruits, herbs and coconut takes place in different regions of Sri Lanka, with more than 200 farmers and agricultural cooperatives. 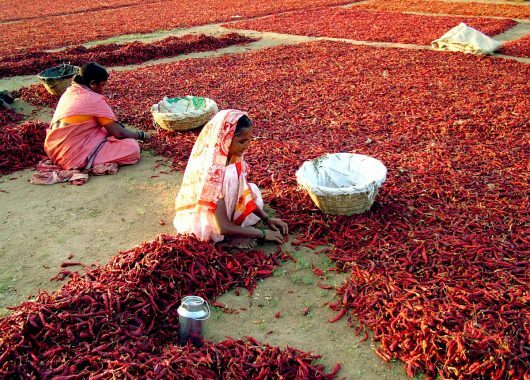 Remuneration is based on fair trade criteria and provides farmers with future prospects for sustainable development and improves their living conditions. We produce a wide variety of fresh and dried fruit products, chutneys, jams and purees. The sun-ripened fruits come from our own plantations, partner farms and cooperatives and are freshly harvested and processed with care in our certified organic factory in Gampaha. 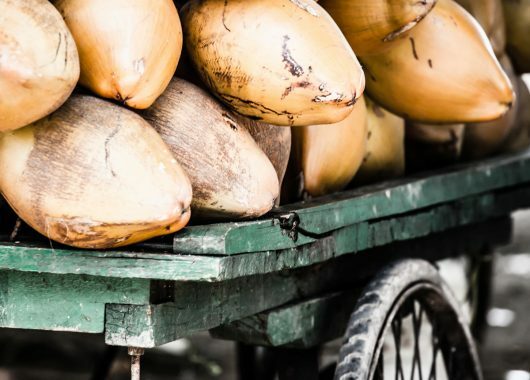 Our coconut product line ranges from coconut milk, coconut fat, virgin coconut oil, coconut cream, coconut flakes, coconut flour and coconut blossom syrup to coconut water. The coconuts undergo strict quality control before further processing. 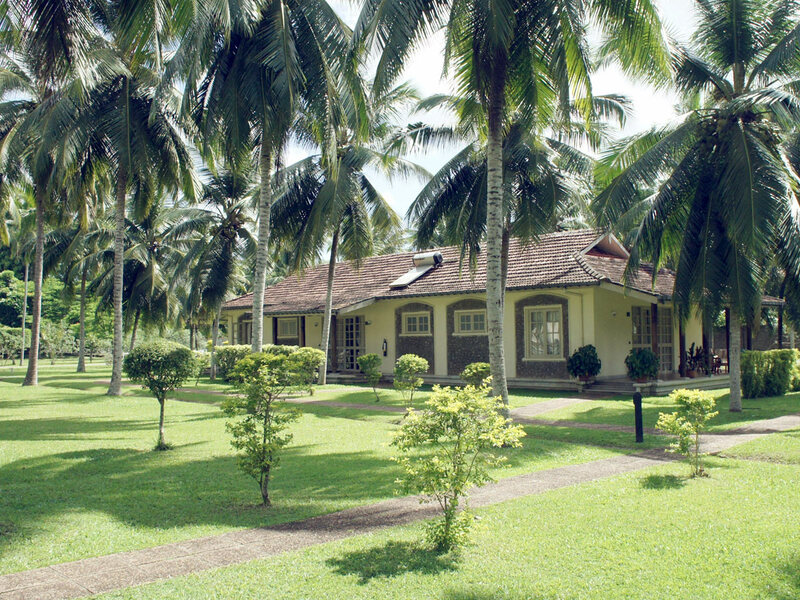 The Cosmoveda coconut plantations are located within so-called „coconut triangle“ in southwestern Sri Lanka. They are managed according to our Organic and Fairtrade cultivation guidelines. By promoting nature and environmentally friendly diverse gardening, we ensure maintenance of fascinating Sri Lankan biodiversity of flora and fauna. Our organic projects include a number of family-run small farms that cultivate up to 5 acres of farmland and are typical of Sri Lanka. The high awareness of the population and the aversion to chemical agrochemicals has always been a good basis for non-toxic organic farming. Low level of pollution and absence of chemical and heavy industry on Sri Lanka make form the best prerequisites for pure and high-quality raw materials. Sri Lanka is, therefore, ideal for promotion of organic projects and increasing number of farmers enthusiastic about our idea. Our partner farms and projects are spread all over the island. We meet the highest organic and quality standards such as NOP, EU-Bio, JAS and Fairtrade. Our processing facility is ISO 22000 and FSSC certified. Cosmoveda Ceylon - the production site of our organic and fair-trade products in Sri Lanka. Sri Lankan tea ("Ceylon tea") is known all over the world. In addition to the famous fermented black tea, a wide variety of Ayurvedic plants are cultivated in Sri Lanka and processed into herbal, fruit and flower teas to pamper body, mind and soul alike. The holistic Cosmoveda products are known for their high-quality standard. Excellent raw material qualities, careful processing and special manufacturing processes guarantee exceptional product properties. Our coconut plantations, located in the so-called "coconut triangle" in southwestern Sri Lanka, are managed according to our Organic and Fairtrade cultivation guidelines. The coconuts undergo strict quality control before further processing. "Our struggle against life has prevented our hearts from opening, but as soon as we give up the struggle and open our hearts to what is, we find peace in the present moment." Our vision for sustainable development. As part of our „Life Projects“ program, we are committed to the ecological, sustainable and resource-efficient production, trading and processing of agricultural commodities. We sustainably improve the living conditions of producers, protect the environment and biodiversity while caring for alternative sources of energy and water supplies in production process. „Only in a healthy environment with harmonious relationships can we work together towards joint future worth living,“, says company founder Günther Eckerle. From the cultivation of raw materials to the production and marketing of our products, we consider it as responsibility to create not only products of highest quality but also sustainable quality of life for everyone involved. There is long tradition of organic farming in Sri Lanka. It is becoming increasingly popular which is apparent even in local purchasing habits. We promote organic farming methods (without the use of chemical pollutants and artificial fertilizers) by providing counseling, seeds, seedlings and support to local farmers and cooperatives. In the Coconut Triangle coconuts thrive over tropical gardens housing wide variety plants, mixed rainforest houses mangos, bananas, pineapples and papayas all the way to the mountainous region around Kandy, where tea, pepper, passion fruit, tamarind and kittul grow. 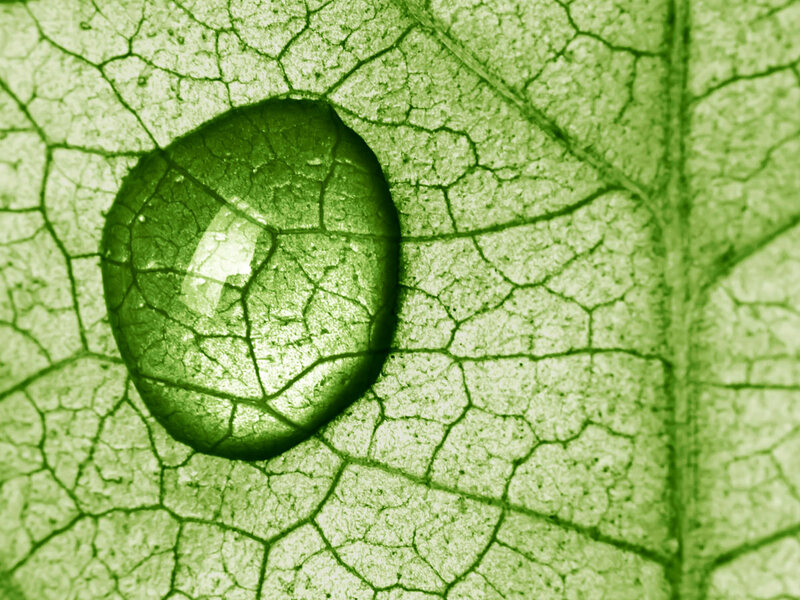 We offer meaningful work and sustainable development while assisting with transition process. 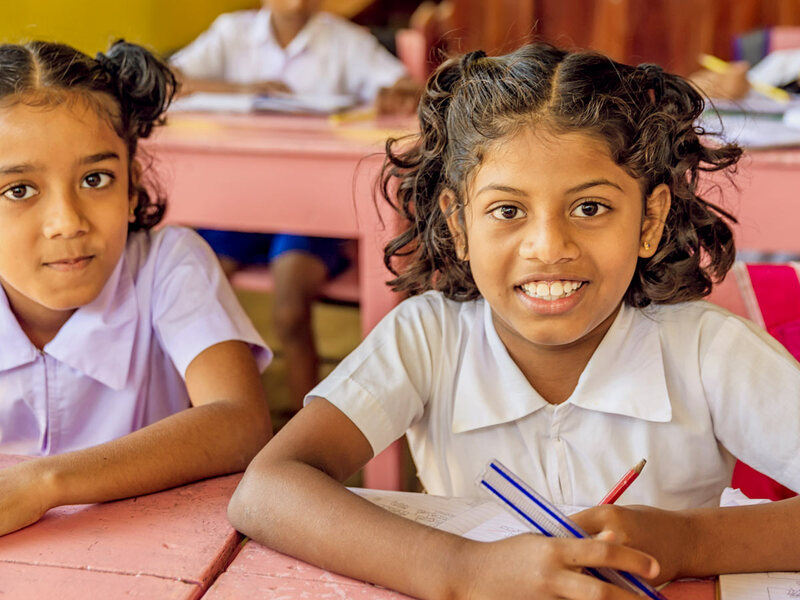 In doing so, we are sustainably improving the living conditions of farmers, while facilitating social rural structures and nature conservation in Sri Lanka. Through the cultivation of ayurvedic herbs and support of research institutions, we revive the millennia-old tradition of ayurvedic life. 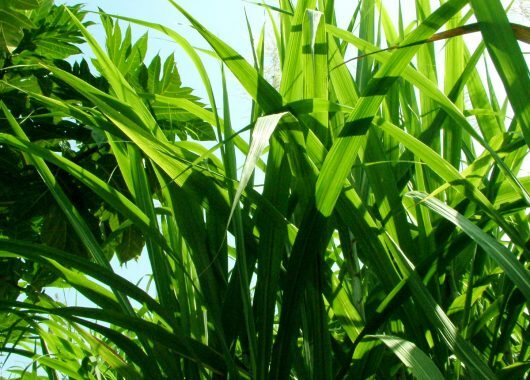 Near Ben Tre in Mekong Delta in southern Vietnam, we are just starting sugarcane cultivation conversion project to produce whole cane sugar, molasses and sugar cane juice. The jaggery originating from this project is traditionally unrefined full cane sugar. It is made from the sugar cane juice by thickening. Production plants are powered by environmentally friendly solar systems. In the region of Karnataka (South India) near the city of Bangalore, we united over 200 farmers and their families into cooperative for the organic cultivation of vanilla, pepper, chili, cardamom and ginger. We support the cooperative through the production means, free seeds and seedlings while guaranteeing purchase of harvest under fair trade conditions. Together for a humane future. Under the motto „Together for a humane future“, the Lotus Life Foundation was founded in 2010 by Günther Eckerle, the owner of COSMOVEDA, aiming to enable every human being, regardless of skin color, religion and ideology, to lead a life worth living with emphasis on personal development and preservation of flora thus preserving our livelihood. The Lotus Life Foundation is primarily concerned with conservation and environmental issues, human rights and human dignity issues, emergency response, especially in crisis regions, and promotion of regional and indigenous ethno-natural medicine. Sustainable improvement of the living conditions and quality of life of population suffering underdevelopment and poverty, which predominantly plagues Asia’s rural agricultural sector, is another key issue. Lotus Life Foundation – for a healthy, dignifying and self-determined life. Protecting the environment and conserving resources means preserving biodiversity and sustainably securing our livelihood. Alternative medicine is effective, inexpensive, non-invasive and independent. Sustainable development assistance promotes self-help, improves living conditions and quality of life, secures jobs and respects human dignity. Lotus Life Foundation – do what really benefits people. and help make the world a better place. Your membership indirectly supports the Lotus Life Stiftung as the membership fees are used for the foundation’s work and Life Projects programs. Claim up to 20% discount on all COSMOVEDA products, as they are mainly from Life Projects BIO Cultivation and Fair-Trade projects. Your membership is managed through Lotus Life Projects, which organizes and coordinates projects of the Lotus Life Foundation domestically as well as our Life Projects BIO Cultivation and Fair-Trade programs oversees. Lotus Life Projects also organizes the development of the Lotus Life Community and the Lotus Life Campus. Your membership fee will be used for the foundation’s work and projects. The contribution is 10 euros per month. You will receive annual membership for 100 Euro (20 Euro savings). The contribution is 7 euros per month. You will receive annual membership for 70 Euro (14 Euro savings). Applies to students, ALG II recipients and retirees. Please provide proof of your status by e-mail or post to Lotus Life. Even companies can become members. Fill in online or download the membership application here. Consent Data usage: Your address and e-mail address will be used only to inform you about our activities, if you consented to it. All information with an asterisk * is required. Monthly membership can be terminated at any time without prior notice. Annual membership runs for one year and can be terminated no later than 4 weeks before expiry, otherwise the membership will be automatically renewed for another year. Here you can download membership application as a PDF file and mail it back.